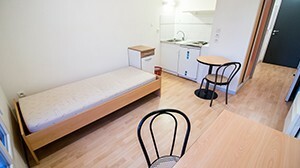 This studio (18m²) has a bed, a desk, a wardrobe, a chair, a refrigerator, a bathroom (with bath) and a kitchenette. 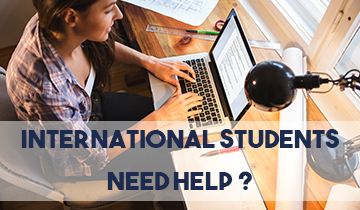 The accommodations are reserved primarily for IKPO students. This studio (24m²) has a bed, a desk, a wardrobe, a chair, a refrigerator, a bathroom (with bath) and a kitchenette. 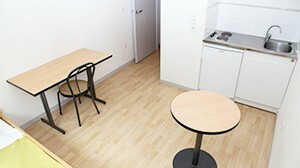 This studio (28m²) has a bed, a desk, a wardrobe, a chair, a refrigerator, a bathroom (with bath) and a kitchenette. Charges fee is for water and electricity. Every started month is owed. The amount of the guarantee deposit is intended to ensure the risk of damage to the leased property. It will be refunded to the outgoing lessee within ONE MONTH of his effective departure, after deduction of the sums whose the lessor may be taken in place of the lessee. Water fee is for one year. If you don’t stay one year, you will have a part of those fees back. Every started month is owed. AEU Service card allows you the access of your residence, AEU sport classes (in case of subscription) and it’s an electronic wallet to pay your meal at the student price in AEU university restaurant. You have to open your private electricity account.You have to pay regarding your own consumption. Private meter for water and heater in the accomodation. You have to pay regarding your own consumption.